Families bristle at the idea of making children study over the summer, but the research is clear. The loss of learning over the summer is real and it is significant. Take some time during Summer break to keep your kids on track with their ACT and SAT prep. Mentors can have a big impact on different aspects of your life. Take time during National Mentoring Month this January to show appreciation for the guidance you have been given! The first couple months of the school year provide opportunities to start your family off with the best habits for a productive year. Every child is different in their learning habits, and here are some ideas to try to keep each child going strong all year long. College Nannies + Tutors would like to encourage young people across the nation to become a mentor in their community. Becoming a mentor doesn’t just benefit those who work with you; you also have the opportunity to better yourself. Continue reading to learn how you can help others succeed academically and personally while helping yourself strive to become a better leader. Why is the PSAT Score Important? The PSAT is important to predicting what a student’s projected ACT/SAT scores may be. But it also serves a secondary purpose. 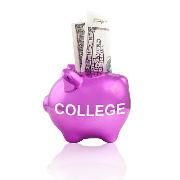 Your student’s PSAT score may also help your student receive college scholarships. Here’s why. What do my child’s PSAT scores mean? 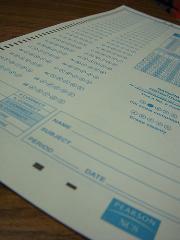 During sophomore and junior year of high school, students across the country take the PSAT exam. When they receive their scores in the mail, it can be confusing to know what the numbers even mean. Here is our breakdown of the PSAT stats. 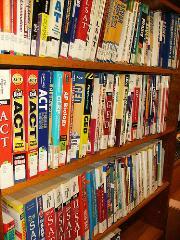 Many students go into the ACT without knowing much of anything about how to take the test. Here is our list of tips on how to do your best on the ACT. When you take your ACT, you want to make sure that you are mentally prepared to take the exam. However, it is just as important to make sure that you have the right tools to take the test right at your fingertips (literally). This checklist will help you make sure that you have everything you need with you to take the ACT exam. If you hire a tutor to work with your child, you should know how to communicate your child's needs and progress with the tutor. In return, your tutor should be able to communicate with you, your student and your student's teacher. Here is why communication is a key component of great tutoring services. Houston | Katy has been Building Stronger Families® in Katy, TX and surrounding communities since 2009. Locally owned and operated, we are part of your community, here to serve your family. Whether your family needs the quality care that comes from one of our role model nannies or the one-on-one attention from one of our College Tutors, we are committed to helping you with a customized solution to your specific needs. Please call or stop in today to schedule a personal family consultation. College Nannies and Tutors also provides event, church, hotel, and wedding sitters as well as overnight care. With our diverse range of services, we are sure we can provide quality service to meet your needs! © 2019 College Nannies + Sitters + Tutors Development, Inc. / All Rights Reserved / Each College Nannies + Sitters + Tutors location is independently owned and operated.